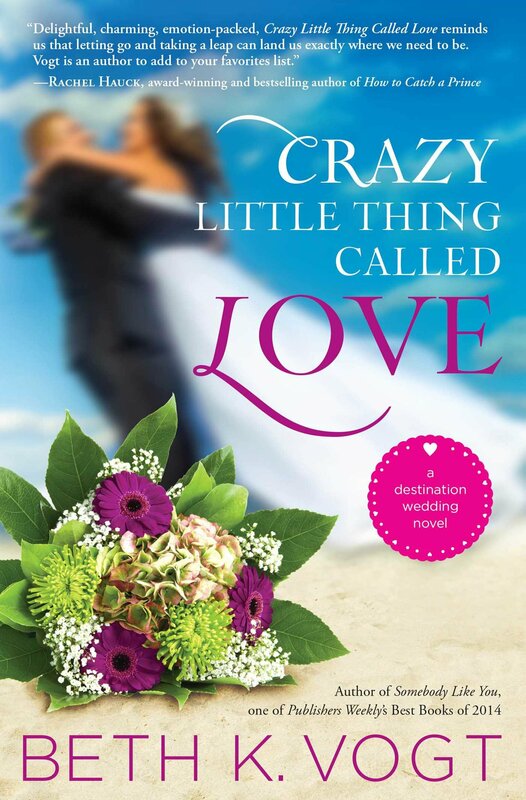 Wedding bells and storm clouds collide in the first engaging novel in a brand-new series about destination weddings, the power of love, and the possible mishaps and missteps that happen on a couple’s journey down the aisle to “I do.” Paramedic Vanessa Hollister has put her adolescence behind her, including the unwanted label of being the new kid in town over and over again, thanks to her father’s military career. She’s overcome what her mother called “the biggest mistake of her life” and is planning an elegant destination wedding in Destin, Florida with her new fiancé. But will the reappearance of her first husband from her what-were-you-thinking teenage elopement disrupt her dream of an idyllic beach wedding? Beth K. Vogt is a non-fiction author and editor who said she’d never write fiction. She’s the wife of an Air Force family physician (now in solo practice) who said she’d never marry a doctor—or anyone in the military. She’s a mom of four who said she’d never have kids. Now Beth believes God’s best often waits behind the doors marked “Never.” A 2014 Carol Award finalist, Beth is a contemporary romance novelist with Howard Books. Her 2014 novel, Somebody Like You, was one of Publisher’s Weekly’s Best Books of 2014. Connect with Beth at bethvogt.com.